Marvel revealed the next arc of Donny Cates’ Guardians of the Galaxy run will be “The Death of Rocket,” which begins in issue #7 with respective art and colors from Cory Smith and David Curiel. Just a few issues into the newest run of Guardians of the Galaxy, one thing has been constant — the Guardians of the Galaxy have been missing Rocket Raccoon. Although Peter Quill and Groot have brushed on the topic briefly a few issues ago, Rocket’s remain unknown. That is, of course, until Marvel announced their first round of July solicitations earlier today. According to the snippet of Guardians of the Galaxy #7 released by Marvel earlier today, the House of Ideas might end up killing off everyone’s favorite trash panda. Fans keeping up with the series will know the team’s likely to find Rocket when issue #4 rolls out next week, meaning the character will presumably have a big role in the next handful of issues leading up to his sure-to-be heartbreaking death. Rocket has been a mainstay of the team since the relaunch of the Guardians of the Galaxy comic in 2008, from which the films draw a good amount of inspiration. He was first created by Bill Mantlo and Keith Giffen in 1976 and made frequent appearances as a guest star in other characters’ comics. His first solo book came in 2014 from Skottie Young and Jake Parker. 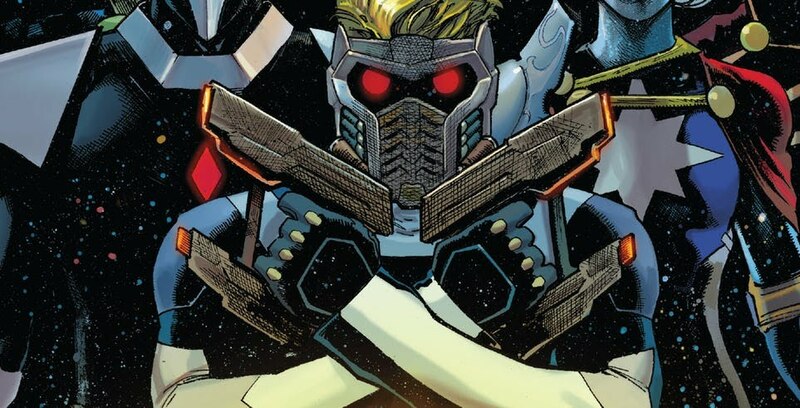 Killing off the one member of the Guardians that’s actually an animal is a bit par for the course when it comes to Guardians writer Donny Cates, who has a knack for killing off heroic animals in the most gut-wrenching of ways. As with comics — and with Rocket set to have a major role in Avengers: Endgame — it’s unlikely Rocket will stay dead…at least not for too long. Also Read: Adam Warlock To Debut In Avengers: Endgame? The full synopsis for Guardians of the Galaxy #7, and it’s bloodied cover, can be found below. THE DEATH OF ROCKET BEGINS HERE IN ”FAITHLESS” PART 1 In the aftermath of the FINAL GAUNTLET, the Guardians of the Galaxy are taking some well deserved R&R. But their vacation is about to be cut short when a familiar, but radically powerful enemy returns. And what does all of this have to do with the whereabouts of a certain raccoon?